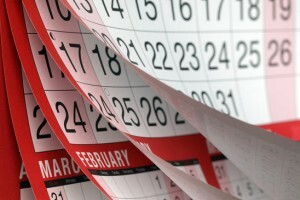 This schedule will have you and your property ready to go before you even hit the market. We’re not promising that you’ll have a sale and be ready to move in ten weeks, but you’ll be optimising your chances and staying in control, avoiding last-minute panics and pitfalls. Examine your finances and be honest about how much you can spend on the move itself and also how much you can realistically borrow – and from whom. Check out recent selling prices in your area to get an idea of your asking price. Ask friends for their honest opinions and imagine you’re viewing your place with a view to buying it – what puts you off? Watch out for properties similar to yours coming up for sale. Set up notifications on RightMove so you can see competition ASAP. Get a few local estate agents in for a market appraisal. Popular wisdom says three agents, but we say five or six. Look for agents that seem to specialise in your type of property. Tidy up the garden, paint tired-looking walls, replace carpets, re-grout the bathroom. Whatever minor work needs doing, do as much as possible. You should have chosen your ideal agent by now. Make sure you’re legally ready and able to sell your property. We’re talking EPC ratings, choosing your solicitor, making sure you have all your building regs to hand and so on. Get your property photo-ready by de-cluttering, changing light shades, curtains and so forth. Choose a good time of day so the light is at its best and make sure that toys are out of sight. Do an honest appraisal of how your place looks compared to others in its bracket, and how it’ll look online. Does it stand apart? If not, what’s lacking? Your listing should now be as good as it can be, so good luck!